The World Economic Forum takes place in Davos, Switzerland this week. What’s it got to do with pro cycling? Well some people in and around the sport are the very plutocrats and oligarchs who hold court in these kind of events. So here’s a look at the wealthiest people in pro cycling. Forget Peter Sagan and his reported €6 million a year salary, this is about the people who are so wealthy they’re not salaried. The list has changed for 2017 with the exit of Oleg Tinkov and the arrival of new money. The point isn’t to gawk at yachts, villas or jets nor nor fawn at wealth but to offer an introductory “follow the money” piece so you know who pulls the strings and where the money comes from. Name a billionaire Russian team owner? Harder now that the publicity-seeking Oleg Tinkov has quit the scene. Instead the answer is the discreet Igor Makarov (pictured), the owner of the Katusha team. Not for him provocative tweets and a team bearing his name, he’s discreet to the point where photos are hard to come by. Still he buys superyachts like you might buy bikes or cars but his is a story of power as much as of wealth. A keen cyclist he started Russia’s first independent gas company in the 1990s and quickly became a key player in the country’s energy market which made him an important political figure too, not only because energy means power in Russian in more ways than one but because his particular line of work saw him trading gas between various outposts of the old Soviet empire, for example buying from Turkmenistan to sell to Ukraine. Forbes reckons he’s among the richest 1000 people in the world. He’s long been chairman of Russian cycling but has stepped down from that role and had mulled an exit from the Katusha team but Alpecin and Canyon are on board to share the load. He continues to occupy a senior role on the UCI’s Management Committee, effectively its executive board. He was instrumental in ejecting Pat McQuaid and Brian Cookson’s continuation or otherwise depends on Mr Makarov who is said to be closer to the presidential challenger Davide Lappartient. If you want more on his story, see Tinker, Tailor, Cyclist, Spy. In short he’s wealthy, powerful and discreet. Next up is the billionaire cycling team owner who is even more discreet in the cycling world. Zdeněk Bakala owns the Quick Step team. The Czech billionaire bought the team with Dutch sidekick Bessel Kok and is a textbook capitalist who left his country with little more than a sandwich in his pocket for the USA. He went to business school and then Wall Street until the Iron Curtain fell and he opened the offices of an investment bank in Prague before going solo. According to Business New Europe, a magazine, he bought a coal mining business for €400 million, sold some its assets for €2.5 billion and then floated the remaining business on the stock market for €4.5 billion. Among other things he owns a large stake iron ore producer Ferrexpo and mining firm called New World Resources. Ferrexpo’s suffered from the volatile commodity markets and most of its operations are in Ukraine while New World Resources is being liquidated. This means he’s fallen off Forbe’s billionaire list but is investing in media in his native Czech Republic and beyond. He remains prodigiously wealthy and is part of the Czech establishment. He owns the scenic Klein Constantia vineyard in South Africa which explains why this otherwise unusual sponsorship is the name of Quickstep’s U23 team. Bakala did get excited about the reform of the sport a while back with proposals for a total overhaul of the sport, a joint venture with the UCI where the governing body would set the rules and calendar… and Bakala would take care of the rest, funding a breakaway league in conjunction with the modestly-named Gifted Group. Has this gone away or has Bakala’s idea been rebranded as Velon? He’s a figure in Czech politics because of his wealth and influence and media empire but lives in Geneva and is a keen cyclist who’ll ride the Cape Argus in South Africa when he’s visiting the winery and cuts a quiet figure in the world of pro cycling. 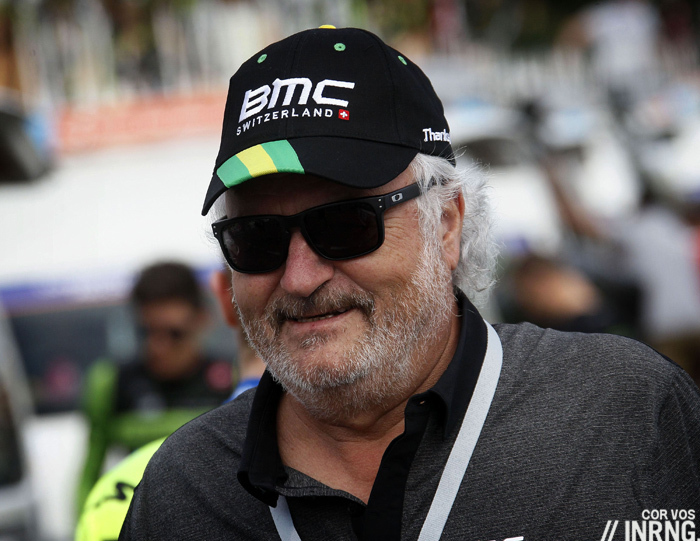 Andy Rihs owns BMC bikes and its BMC Racing team and you can often spot him at a big race. Don’t look for a man in a suit holding a cigar or other “fat cat” stereotypes, he’ll wear the same team-issue leisurewear as the rest of the squad. His father Ernst started a hearing aid business that went from the garage to a global consumer healthcare giant called Sonova and at the time of writing it is worth about US$8.3 billion. Rihs’s has been selling down his stake to free up millions in cash and his remaining 3.5% holding is worth $300 million. He’s worth much more as he owns BMC and has financial stakes in wineries, hotels and watch making, normal since the BMC factory in Grenchen is near the Breitling HQ in an area famous for its luxury timepieces. He’s obviously cycling-crazy, the budget for BMC Racing is greater than the profits of the BMC bicycle company meaning the team is a personal investment. He’s committed to funding the team until 2018. At last Orica-Greenedge has become Orica-Scott and the valuable verbal real estate has been sold off by sports fan Gerry Ryan (pictured right). He can still afford to bankroll the team for years, reports say he’s worth AU$340 million (US$280 million). The only worry is for his son as he once quipped it was his inheritance that was being spent. Ryan started out building camper vans and caravans and forty years on Jayco has been a big success and, as the auto industry pulls out of Australia, can be counted as Australia’s biggest vehicle manufacturer. But there are only so many caravans to sell and he’s become superrich with the Walking With Dinosaurs show to which he owns the rights, and his media and entertainment business also stages other shows although he’s multi-millionaire among some of the the billionaires here. He’s involved in more business and he’s been a generous donor to other sports too as well as owning race horses. New to the list are the Biver brothers. Marc (pictured, right) is a career sports manager who has been in and out of cycling over the years, notably as the man behind the Astana team and also as a figure at IMG, the sports marketing agency. He’s got the sporting connections while his brother Jean-Claude has the wealth, being CEO of Tag Heuer, a watchmaker and subsidiary of luxury goods conglomerate LVMH and one of those celebrity CEOs, the kind who doesn’t just attend the Davos forum, he gives speeches there. The brothers were born in Luxembourg but have lived and worked in Switzerland most of their lives and the connection helps explains the links to BMC Racing but the sponsorship is also a reflection of cycling’s tentative steps to landing blue-chip corporate sponsors, a rare global brand on a cycling jersey. Bahrain? Royal Family? Horses. It turns out the head of the Bahrain stables for endurance horses is Prince Nasser. Could it be that Prince Nasser hired a doping doctor before even starting a cycling team or are Beltran’s quotes the deluded fantasies of a jailbird? Finally among the team owners is Matar Suhail al Yabhouni al Dhaheri of the United Arab Emirates (UAE) (pictured, left) and the man behind the UAE Abu Dhabi team that’s taken over from Lampre-Merida. It’s hard to find much information on Mr al Yabhouni, he’s been president of the Abu Dhabi Horse Racing Committee and a member of the board of Abu Dhabi Sports Council. Local paper The National describes him as an Emirati businessman. He’s a member of Abu Dhabi’s ruling elite and his name pops up in the Panama Papers leaks too. 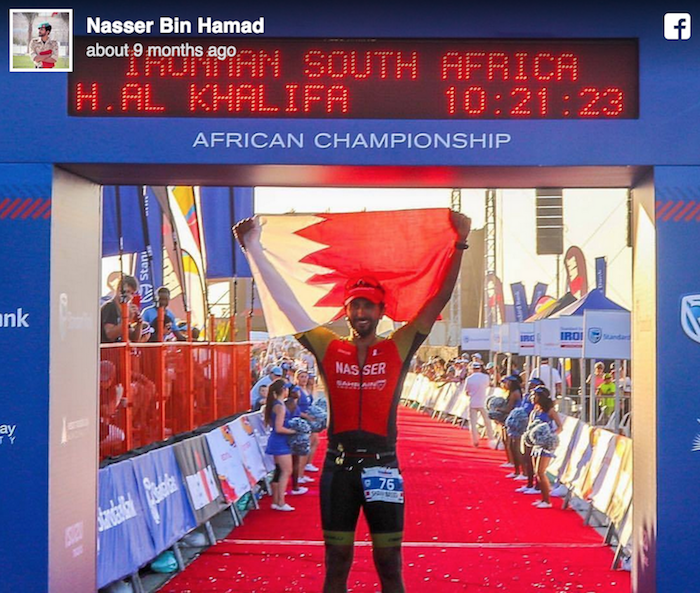 He too wants a cycling team to show a new, energetic side for his country and like Prince Nasser seems set to be content with owning a team rather than shaping the sport. In come two team owners from the Middle-East who aren’t such passionate riders even if Prince Nasser rides a bike. Behind them is prodigous wealth and it’ll be interesting to see if they’re willing to spend more. The UAE team has the lowest budget in the World Tour and surely the Emirate won’t settle for this lowly status? See also The Wealthiest People in Pro Cycling Part II. Thanks for this…I think. Certainly knocks a bit of romance and passion out of the sport when you see the oligarchs and petro-sheiks who bankroll things, especially when you look at their horse racing interests. Hard not to think they look at racing cyclists pretty much the same way as their stable of horses though of course there’s always been an element of “dope ’em up, use ’em up” in cycling teams since the sport began? The whole thing sticks in the craw, doesn’t it? But why would cycling be any different from the rest of the world? And a lot of the sponsors are no better, ethically. Search Zdenek Bakala and OKD, for a horribly reminiscent tale of a country’s coal mining demise and an assets grab. For what it’s worth: Etixxx has actually not been Coucke’s asset for the last few years as it was sold together with all of Omega Pharma to the American firm Perrigo. Ever since that deal Coucke has been in altercations with Perrigo regarding cooking the books or something like that and then all of a sudden last year he re-bought Etixx (but not the rest of Omega Pharma) from Perrigo. Probably the Omaga/Etixx sponsorship deal with Lefevre was something that Perrigo inherited from Coucke an has now simply run out. If Coucke will re-enter sponsorship with his re-acquired Etixx remains, of course, to be seen, quite the soap opera all in all. It’s worth saying. As you say the sponsorship deal has run out but it was put in place by Coucke as part of the sale. He’s now buying back Etixx and some other brands as you say but I suspect he’s going to plough his money into his two football teams. long-ish interview with Patrick Lefevere where he discusses the sponsorship situation. It’s in Dutch. Sad we don’t have an American sugar daddy that rides bikes. Can we perhaps look forward to some Chinese money in the future making your profile? That’ll be Part II with Wang Jialin of Wanda. Looks like Wang’s more interested in races than teams. The Chinese company that acquired the Lampard liscence never had the money required but somehow was confident Wang & the rest would chip in. See how that fell apart as Wang went to UCI to sponsor a WT race directly. For now, China needs to establish a consortium of mass participating events and hopefully grow a domestic racing scene out of it (quite clear mass events would be the chicken here as currently China hasn’t got enough pros to inspire young generation. But those who do well in a mass event may want to “upgrade” to semi-pro racing). The other interesting thing with Chinese cycling is that woman’s racing may take presidence to man’s. More like a son who assumed that sugar daddies would sponsor his foray and got doors shut on him. Not a lot of news in Chinese media either. Most were just getting 2nd hand news from goodie oldie Cycling News. There had also been rumours that TJ sports president Li Zhiqiang got cancer. I’m afraid I can neither confirm or debunk that through a surf of Chinese Media. What the Chinese Journalist said at the end of this article regarding foreign exchange policy is very true and had been felt quite acutely by business community in China. Instead of encouraging outward investment the Chinese Government now wants to stop capital flight from China since latter part of 2016. As a result, foreign exchange quota had been tightened and it has been almost impossible to move significant amount of capital out of China. Obviously TJ sports president Li Zhiqiang is not heavy weight enough to buckle this political trend, nor would he have enough foreign currency cash outside China as would Mr Wang of the Wanda Group who has significant business interest/assets outside China at this moment in time. That said, his declaration back in August that he had both Wanda’s Wang Jianlin and Alibaba’s Jack Ma and many more lined up to invest in his firm is also likely an exaggeration. The next part is my personal speculation: Li probably met Wang & Ma or sent business proposal to Wanda & Alibaba, with later expressing some “interest”. Li then thought that purchasing a WT team would make his company attractive enough to solidify the aforementioned interest into real investment. He ultimately failed spectacularly as the likes of Wang knows the Western Sports World very well and does not think buying into a WT team would further Wanda’s interest in promoting cycle tourism much. Wang eventually decided to side step Li, approached UCI and set up Tour of GuangXi. Mean while, some riding routes and scenery photos in GuangXi Province as complied by local fans. I had heard a lot about the health issues (team sources, obviously), but I’d say that, anyway, your reconstruction of the situation as a whole stands as pretty much convincing. Thanks for the photos; curiously enough, several of them are quite akin to some parts of the… Canary Islands. Shenmue is a lovely game (which I was only able to read about rather than play). III ought to come out soon. The Guilin where Ryo finally met Shenhua is in GuangXi Province and a prime tourist attraction. I suppose Guangxi has some resemblance to cycling heaven Canary Islands can only be a good thing. I spent the last Christmas holiday on Lanzarote regrettably without a bike. I was quite surprised by the fact that I saw no large groups. Instead, cyclists all come in “one”s and “two”s. I suppose it makes sense as the island is too exposed and windy for any large group to not ride in echelon. Or maybe it was just Christmas. Years before USPS, he put plenty of money into domestic American teams and then pro-continental. The last thing I read was he was giving a little money to a Junior team in Northern California…. While still running USA Cycling. Gerry Ryan also started up and owns GTR Events, a relatively new company which runs many of the cycle races on the Australian calendar that were some years back bought out and run by Cycling Australia during their financially disastrous foray into being a bike race promoter. Races run by GTR Events include the Herald-Sun Tour, Road Nationals, Cadel Evans Great Ocean RR, Melbourne to Warnambool, Tour of Tasmania and the Tour of Gippsland. I wish he’d buy cycling australia. the WORST governing body of any sport in Australia. There is quite a contest for that title. Has Makarov been implicated at all by the state-sponsored drugs allegations in Russian sport? No. He’s not that close to that side of things. It’s interesting to see who is financing the teams, though not a single one of them can affect the sheer pleasure I get from riding my bike. 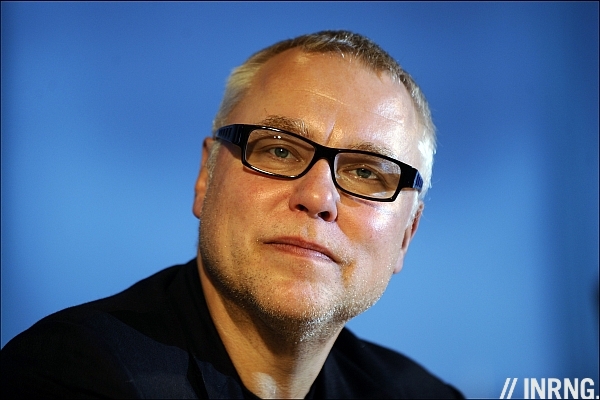 We can also mention Dariusz Miłek, owner of the CCC brand, and his $1,13 billion on the Forbes’s list. Is he into cycling? One of the criteria for the list is not just sponsorship but a direct connection to the sport and personal involvement/ownership of the cycling team. Eg Alpecin/Soudal’s owners aren’t on the list above. Part II will mention some sponsors like Sky’s James Murdoch, I could put Miłek in there? Yes, he is. He’s the real passionate of the cycling and is running the team rather as a patron than a businessman. He also takes care of Polish Cycling Federation as a titular sponsor. 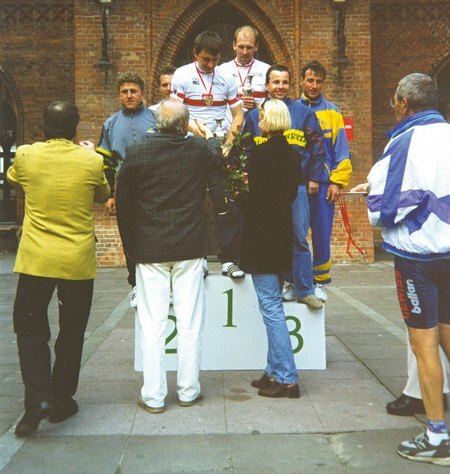 He used to be a cyclists as a youth, junior, espoir and elite (in late 1980s) and later on in the Masters category (he was a Polish champion in the time trial in 1996 http://www.kurek-rowery.pl/user_pict/835_Milek.jpg) . As far as I know, we owns a house near the Garda Lake. In general, the CCC Team and sponsoring the federation is more the passion than a way to advertise his shoes. Actually, he is almost not doing that (advertising) besides spending millions on cycling (he’s been involved as a sponsor since early ’00s). When Maja Włoszczowska (our Olympic medalist in cross country) had a horrible crash before London Olympics, he brought her back home with his private plane. He’s definitely more than a sponsor, but a man behind the team and, partially, Polish Cycling in general. Thanks, informative and good to know. He’ll be dancing in his CCC shoes today after the Giro wildcard news. CCC is weaker than ever; even if Paterski and Samoilau should reverse the clock and go back to their best, with Hirt growing better and better, they just aren’t on a HC level, not to speak of WT. No offence intended. 2015 was by far their best year, and, all the same, they couldn’t shine at the Giro (perhaps because Rebellin, the man they had who could win big, was cast out because of old grudges and petty politics). But hearsay about a 2018 Poland start might mean a lot… especially if you take into account what mt_jr is writing above. Anyway, let aside any nationalistic component, on mere sporting terms CCC is no better than Androni, but the latter sports at least *two* very interesting young guns, Ballerini and Bernal (disclaimer: there might be more, on both teams – my ignorance). Given that Androni had already endured one hard year out, and assuming that any Poland start would imply a CCC presence next year (yeah, I get that some multi-year agreement must be in place…), I’d have deemed as a little more considerate to more or less switch the two teams’ wildcards. Wonder how much RCS’ new capo Urbano Cairo has to do with Giro d’Italia (and their other events) team selections? This guys’s loaded but can only pony-up for a 2nd tier squad? And then gets an invite to the Giro over small, Italian teams? Where’s the incentive to move up to the top level? And what are those small Italian teams supposed to do when 18 of the spots are taken by top-level teams, some of which have no chance at a stage win, let alone contending for GC? “Heinie’s Folly” continues to plague the sport along with the steady drip of doping scandal and the EU financial woes. And will cycling take another blow when/if the CBS 60 minutes expose on motorized bikes gets aired? Any cycling fan who relishes a little intrigue should go to the link in the text, Tinker, Tailor, Cyclist, Spy. You’ll enjoy equally inrng’s role as control in this cycling version of the Le Carre classic. There’s hours and hours of enjoyment to be had in the archives. We could do with an updated Nutella piece though, palm oil and all that. I came across another Italian chocolate spread; Venchi. It’s made with olive oil (rather than palm oil) and tastes much smoother. It’s more expensive though. I just hope that the olive oil is not heated too much in the manufacturing process, aa it has a relatively low smoking point. https://www.gustiamo.com/chocolate-hazelnut-spread-c-amaro/ if you want artisanal quality. I’d put Venchi below this one, but above Novi…which is far superior to Nutella IMHO. That looks lovely, thanks Larry. You don’t write freelance do you Inner Ring? Let’s not forget that Trump, the president-to-be, once sponsored the Tour de Trump back in the 1980’s. If only we could re-kindle that old flame of interest in the sport,… he could make Cycling Great Again! Sure, like he did with his Atlantic City casinos, airline, mortgage company, university, etc? You know those movies where they go back in time and kill Hitler? I was at both of the terrible Tours de Trump and now have a recurring nightmare in this theme. I hope this clown will be only as awful as Il Duce rather than der Fuhrer. Hahaha, great response Larry – I agree, I really hope Trump has forgotten all about cycling. I’d rather have Oleg back. The Tour de Trump was a vanity showcase for Mr. Trump. He insisted the race go by his properties., that his name be prominently displayed on jersy’s, etc. He even requested the jersey maker to make the Trump lettering oversized, which violated UCI rules, etc. I don’t remember how that worked out, but I think he got his way. But he did underwrite a very expensive race, so even the guy is a supreme wanker (President Wanker to you) I give him props for his sponsorship. Whatever our personal views, the old adage that ‘money makes the wheels go round’ is always going to be the case. Personalities, Sponsors and Race Organizers, all have their fair share of wealth, and therefore power. It has always been the same and always will. I simply look forward to some exciting racing in 2017. There was an American sugar daddy that rode not that long ago – remember Bob Stapleton’s excellent team, Columbia High Road, which be brought back from the T-Mobile doping obscurity? His team was a virtual who’s who: Cav, Kirchen, EVB, Henderson, Hincapie, Lovkvist, Barry, Velits, Renshaw, etc. They shuttered in 2011 after both the men and women won the Chronos des Nations and were voted the best team that year by Cycling News. He took a big risk taking on the team in 2007 and built a clean program for great riders. RTegretfully, current events at the time prevented him from obtaining the sponsorship to continue. Gives you much more of a perspective how difficult it was for a young Lemond. He had to struggle riding and racing in the backwater of the US. Europe racing has such a draw for the young racers hearts and minds with all the classics and monument races. We in the US have nothing! Come on Larry Ellison give up yachting and buy a young pro team. Lemond didn’t really have to struggle. As a junior he was racing in the 1/2/Pro races. There was much more prize money around at the time. It helped his Dad and the federation supported him too. There were American sponsors from outside the sport. No one was getting rich at all, but it was possible to have a winter job, then race all summer and do okay. The American federation really cares little for domestic racing. They concentrate on their pay-to-play schemes for Juniors and that’s about it. Greg Lemond,as a junior, was pretty much supported by a bike club out of Reno and his Dad, Bob Lemond who was in real estate. I raced against him in the late 70’s and once beat him in a sprint ( I still have the results someplace lol) he was 16/17 and I was around 20-21. We all knew him as a wonderkid and I thought he was standoffish, until his dad told me he was a bit shy and liked to focus before races. After he was always evaluating what he could have done better. We chased him down one year in the Vuelta de Bisbee and he actually was a bit upset. It took several So, Cal and several Nor Cal roadies about 30 miles up the cat2 Mule Mtn to finally reel him in. But we could not let a 17 yo kid, beat us. Pride was at stake. Little did we know… Before the field broke up on Mule Mtn, we kept hearing a voice from back of the the peloton saying, “he’s just kid, he’ll die real soon, just wait a while “, until we discovered it was his dad, they raced together when he was a Jr and allowed to race 1/2 events. There was very little money those days, a lot of merchandise. Stage races were allowed to present money as prizes as a per Diem under ABLA/USCF rules for amateurs back then. Our team won several hundred dollars and was up til that time, the most I ever made in a road race, although later I did score some big bucks for some primes in a crit. My total take at the Bisbee was around 159 dollars. On our way home the next year I won even more and used it to put a down payment on some vacant land where I live today. Othersteve. Lemond certainly did have most of the odds stacked against him, especially as you point out, in the USA at that point in time. He did however have some advantages. He was an extremely classy and talented bike rider, he had the active support of his father and the French system, for their own reasons, encouraged his progress. A good bike rider will normally succeed, even against all the odds. But even Lemond, at the top of his power, was in the employ of a wealthy individual. quality of this post is amazing. So light yet so informative. it is indeed strange that Chinese didnt put together 15m USD especially when you pair with offers for football players they make at the moment. I’m having trouble finding more info about Bakala but if the story boils down to what is written here, it sounds highly shady. Buying a portfolio of assets for 5% of its actual worth really cries malfeasance and/or extreme incompetence. If I were a shareholder of a company and the board voted to allow me to be bought out for 5% of market value I’d quickly file a lawsuit (in this country, anyway). That’s what happened in a lot of big asset sales in central and eastern Europe at the time, local officials got dollar signs in their eyes and didn’t know the value of what they were selling and the legal system in place wasn’t up to much either. It explains the sudden wealth of many oligarchs from this period but we also don’t see those who paid millions for other assets and lost everything or got worked over by criminals etc.